Drive-safe mode needed for motorists' mobiles? With two-thirds (66%) of the UK population now owning a smartphone the time could have arrived for a drive-safe mode for mobiles. Most smart phone owners are familiar with flight-safe mode on their devices which restricts communications that could potentially interfere with a plane’s systems. Yet many of Britain’s 38.5 million drivers risk being distracted by an almost limitless range of applications on their phones which are accessible whether they are at the wheel or not. Each year at least 70 fatal accidents on Britain’s roads have ‘distraction in vehicle’ as a contributory factor. 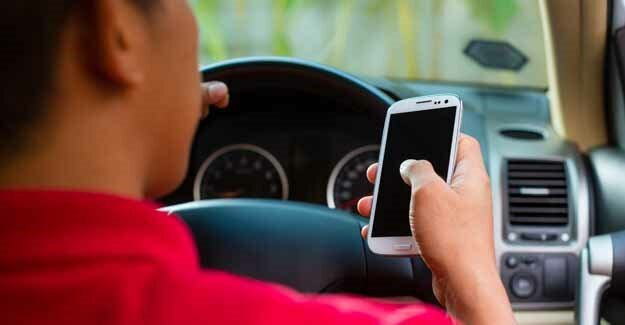 ‘Driver using mobile phone’ is a factor in some 20 fatal accidents a year. A 2014 study observed that around 1.6% of drivers on roads in England and Scotland were using a hand-held mobile. The RAC Foundation asked TRL to carry out surveys and interviews with a range of people who have an interest in this subject – including representatives from vehicle manufacturers, telecoms providers and phone manufacturers – to gauge what industry is doing to limit the use of potentially distracting technology in the car.